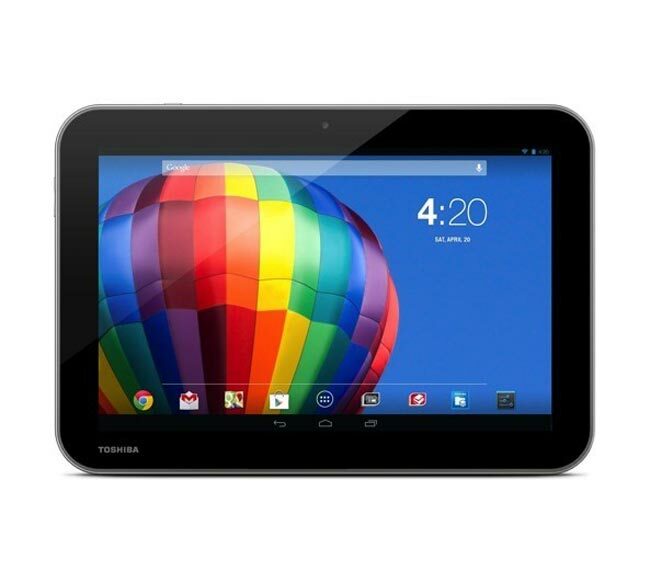 Toshiba has announced three new Toshiba Excite Android tablets, first up is the Toshiba Excite Pure, which is a $300 Android tablet that comes with a 10.1 inch display with a resolution of 1280 x 800 pixels and a NVIDIA Tegra 3 processor. The Toshiba Excite Pure also comes with 16GB of built in storage plus a microSD card slot, there is no rear facing camera on the Toshiba Excite Pure and it comes with Android 4.2 Jelly Bean. Next is the Toshiba Excite Pro, which also comes with a 10.1 inch display, although this display features a resolution of 2560 x 1600 pixels at 300 ppi, this model is powered by a NVIDIA Tegra 4 processor and features 32GB of built in storage, plus an 8 megapixel camera. Finally we have the Toshiba Excite Write, which comes with a 10.1 inch display with a resolution of 2560 x 1600 pixels, a NVIDIA Tegra 4 processor and 32gB of built in storage, there is also an 8 megapixel camera and it features pen support with a Wacom digitizer, this model and the Toshiba Excite Pure will retail for $600.